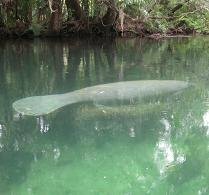 The Orlando Sentinel ran a story today about plans for a special meeting later this month between the Florida Association of Counties and the Florida Fish and Wildlife Conservation Commission. FAC is seeking to have FWC tighten restrictions for ownership of dangerous snakes. The story notes that the current penalty for owning unlicensed deadly snakes is up to 60 days in jail and a $500 fine.